"When I am on lecture tours, conducting workshops, or having show openings, people invariably ask me why I pursued a career in the fine arts and how I got into encaustic painting. My response is that as a professional artist I find art to be an exciting adventure in which you are constantly learning and discovering the many intricate relationships that art has with other disciplines. I have the joy not only of creating art, but also writing and lecturing about art. Also, it is truly an enriching experience for me to work with the encaustic medium and share my art and knowledge of encaustics with others". 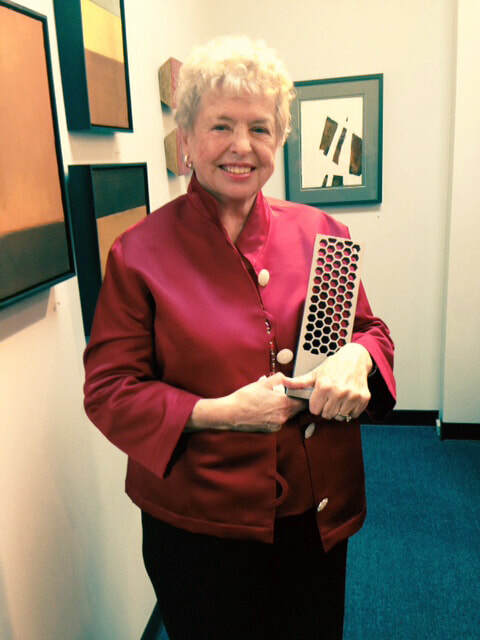 Dorothy Masom has been given The Lifetime Achievement Award from International Encaustic Artists.